Meet Newsday's All-Long Island baseball team for the 2017 spring season. 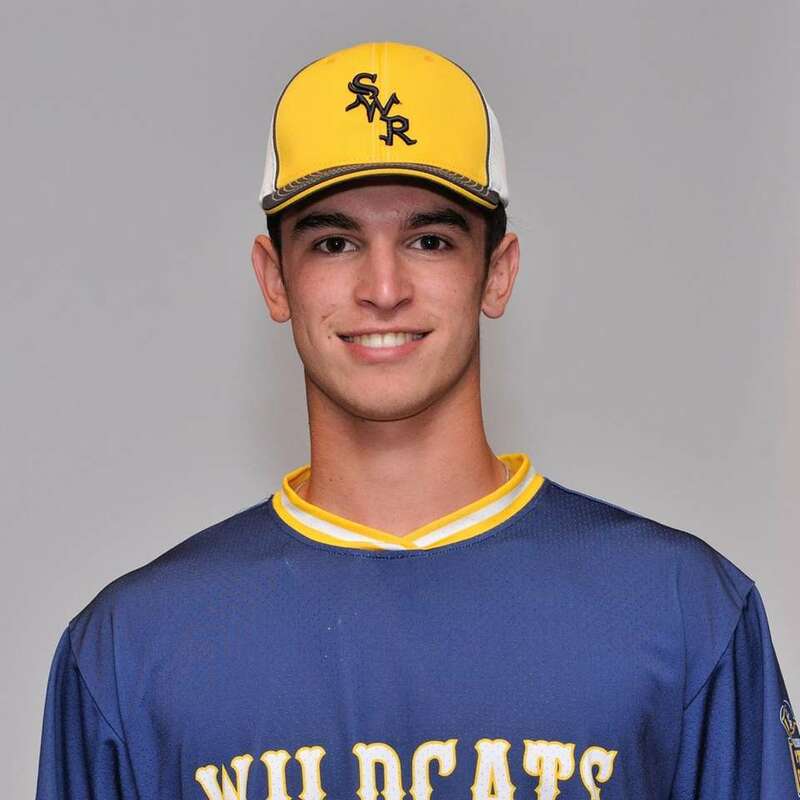 Brian Morrell, Shoreham-Wading River, SS/P, Sr. The five-year varsity starter became only the second two-time winner in the 50 years of the Carl Yastrzemski Award, given to the top player in Suffolk. 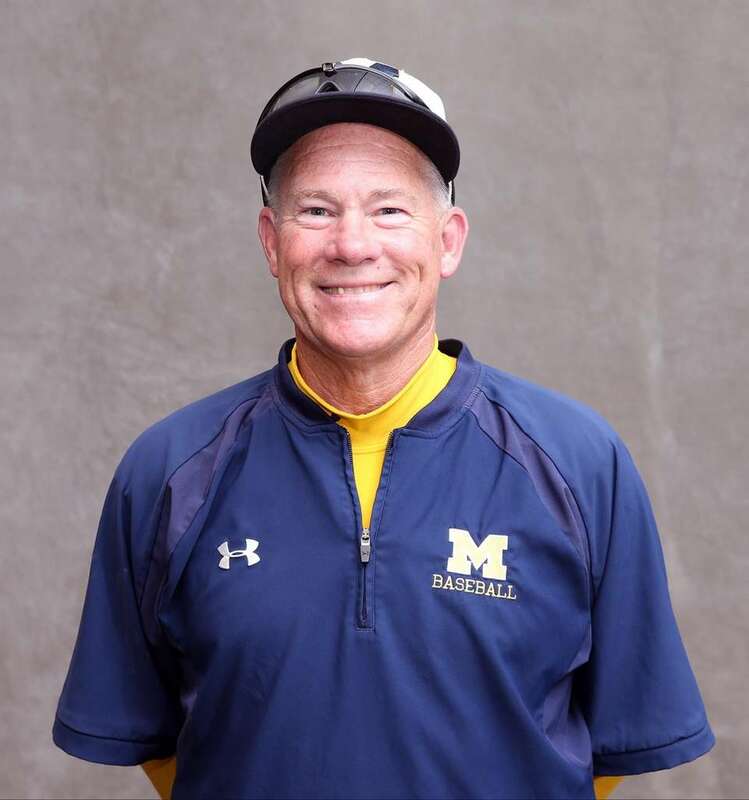 He led the Wildcats to the League VII title and the county Class A crown. Morrell finished his career with a school-record 27 home runs, 162 hits and 124 RBI. He also won a school-record 29 games, struck out 303 hitters and fired six no-hitters. This year, he was 10-1 with a 1.23 Era and 93 strikeouts. He batted .500 with 44 hits, seven home runs and 39 RBI. He accepted a baseball scholarship to attend Notre Dame. He was also picked by the Phillies in the 35th round of Major League Baseball's amateur draft. 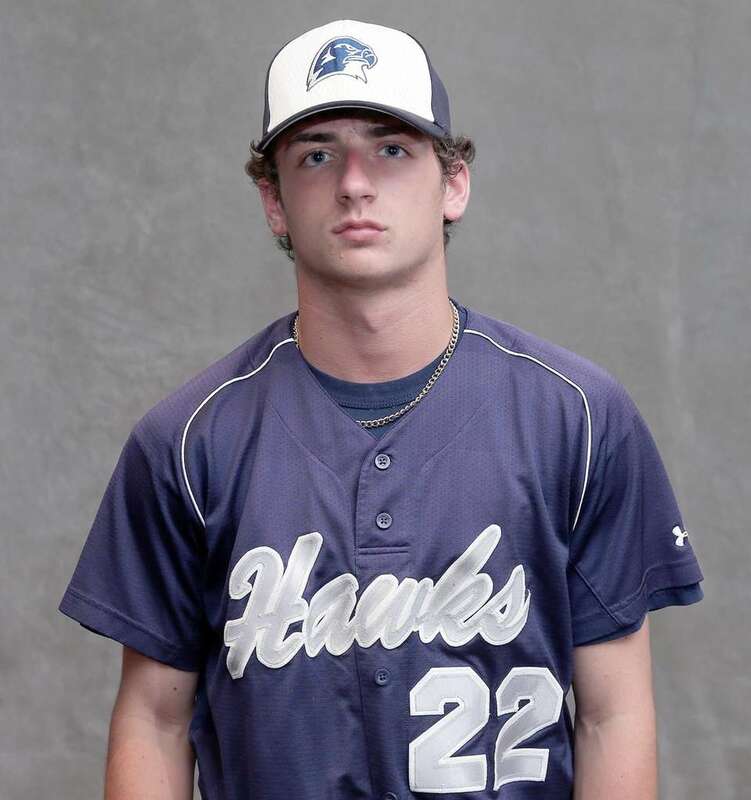 Nassau & CHSAA Player of the Year: Chris Cappas, Kellenberg, P/OF, Sr. 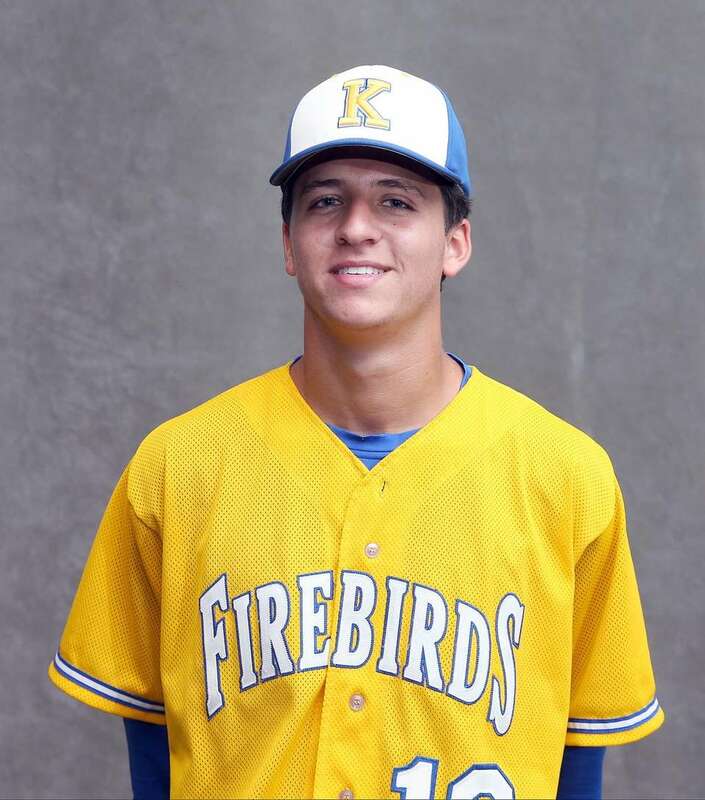 He led the Firebirds to their second consecutive league championship. His impact came in all forms. 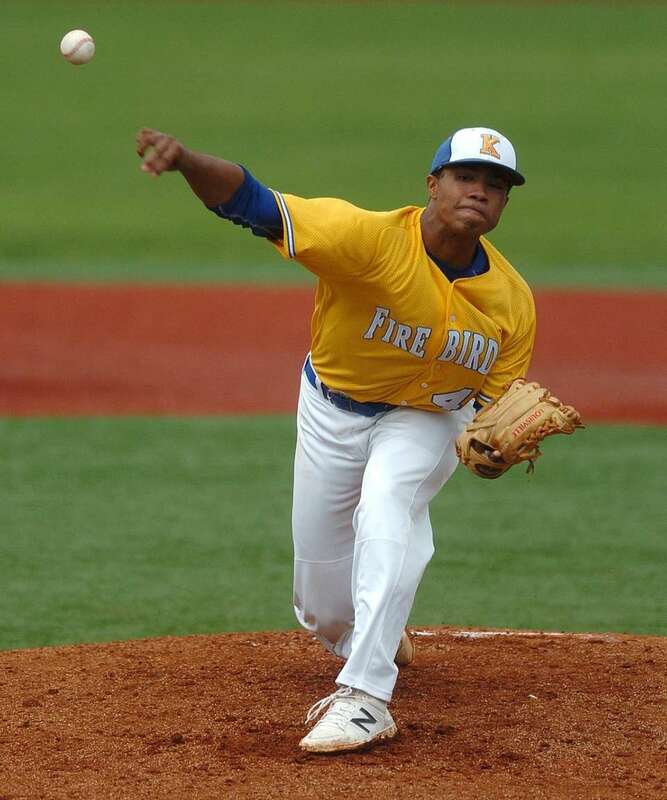 He had excellent range in the outfield, allowed only one earned run in 39.3 innings and struck out 53. He was also one of the leading hitters in the CHSAA with a .434 average, three home runs and 23 RBI. He will attend University of Pittsburgh in the fall. 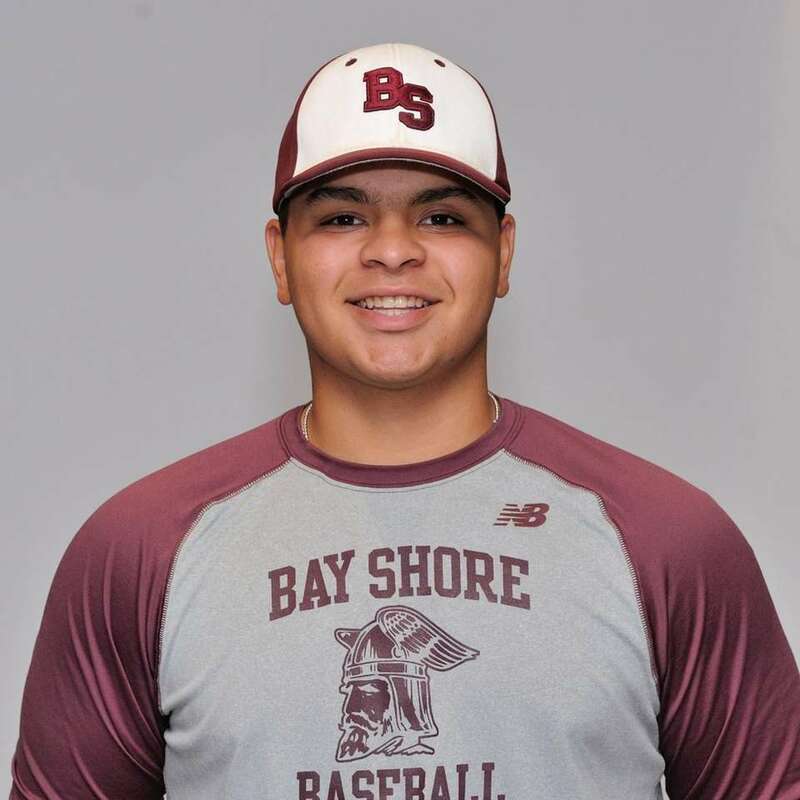 Hermes Abreu, Bay Shore, C/P, Sr.
Hit .500 with four home runs and 31 RBIs and was excellent on the mound, striking out 24 batters in 24 innings and recording a 0.58 ERA. He will attend Concordia College. Ben Brown, Ward Melville, P, Sr.
Pitched 45 2/3 innings, striking out 67 and allowing just six earned runs and 17 hits. He was drafted in the 33rd round of the 2017 MLB Amateur Draft by the Phillies. He was headed to Siena College and now must choose between professional ball and college. 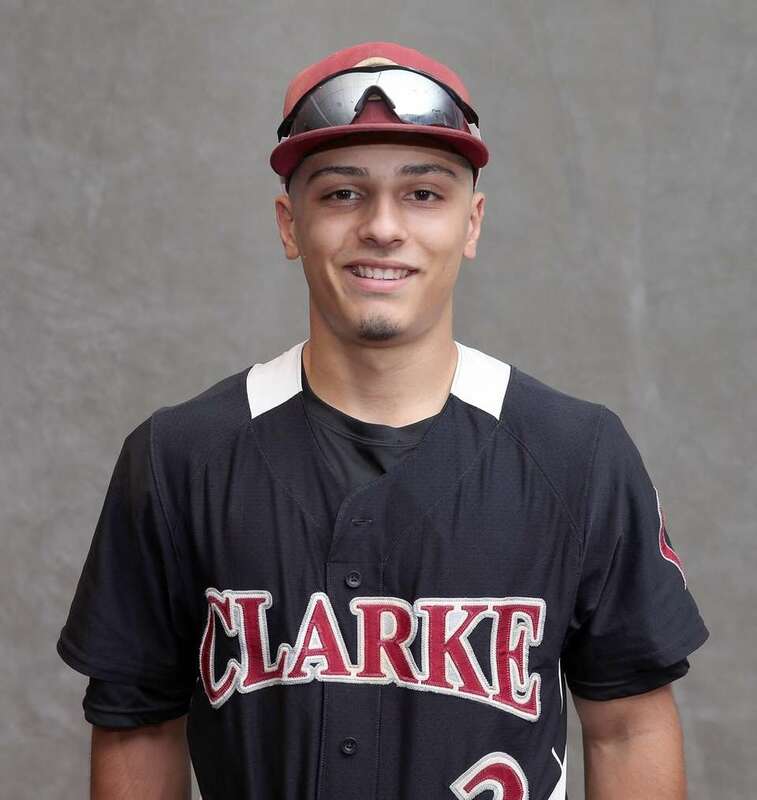 EJ Cumbo, Clarke, OF, Sr.
A complete offensive player, Cumbo drove in 23 runs and stole 19 bases. He scored 23 runs in 22 games and posted a .536 batting average and .615 on-base percentage. He will attend NYIT. Luis Dono, Valley Stream South, C/P, Sr. He slugged five home runs with 29 RBIs while also scoring 23 runs. 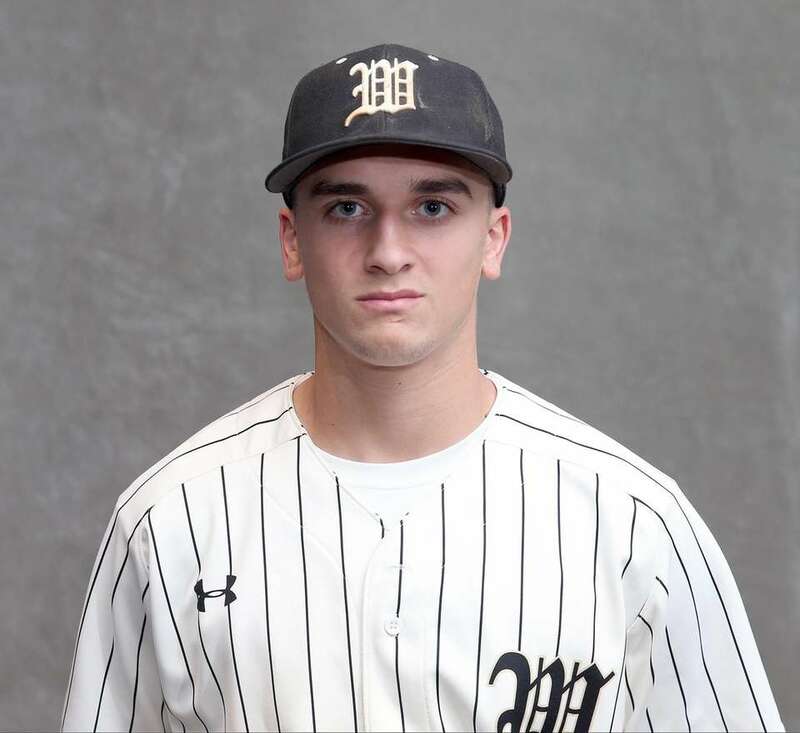 Anthony D'Onofrio, Wantagh, SS, Jr. 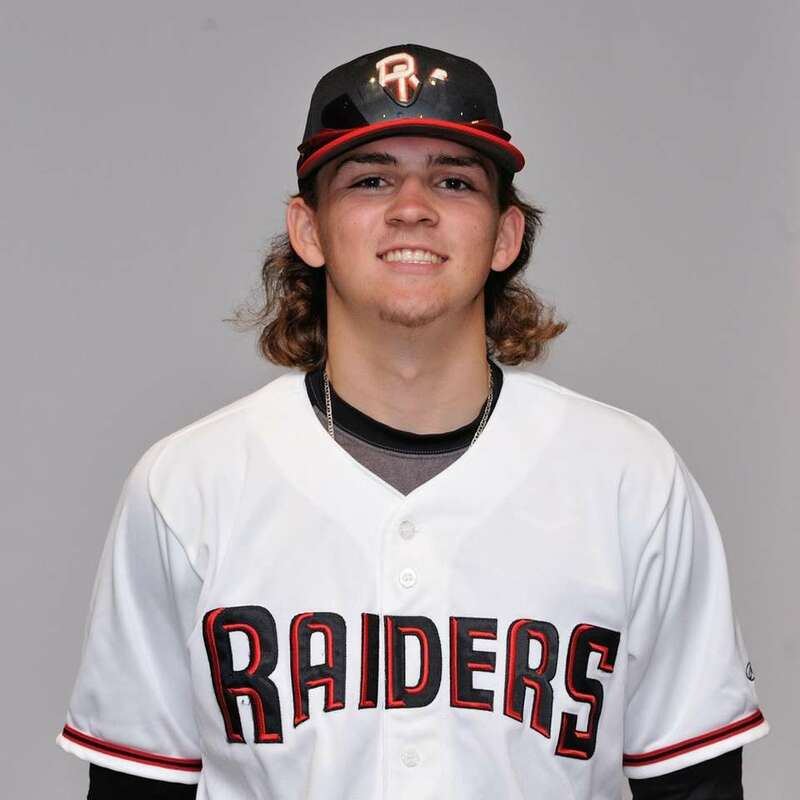 He used his speed to notch 10 doubles, four triples and 15 stolen bases, scoring 46 runs for the state Class A runners-up. Patch Dooley, Half Hollow Hills East, P, Sr. Opposing batters hit .112 against the Paul Gibson Award winner, as he went 7-0 and struck out 71 batters in 40 innings pitched. He also hit .340 and posted a 15-game hitting streak. He will attend the College of Charleston. 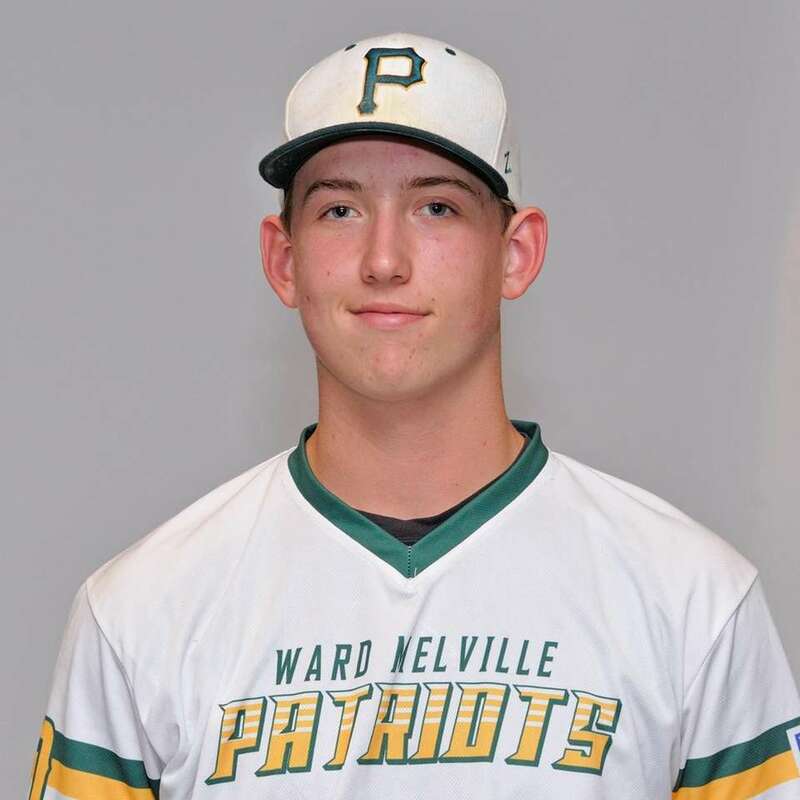 Mark Faello, Plainview-Old Bethpage JFK, P/2B, Jr.
Pitched to a 7-0 record with a 1.26 ERA and 74 strikeouts in 56 2/3 innings pitched while also hitting .372 with 23 RBIs and 22 runs scored. He struck out 19 batters in a no-hitter against Herricks. He won the Diamond Award as Nassau's top pitcher. 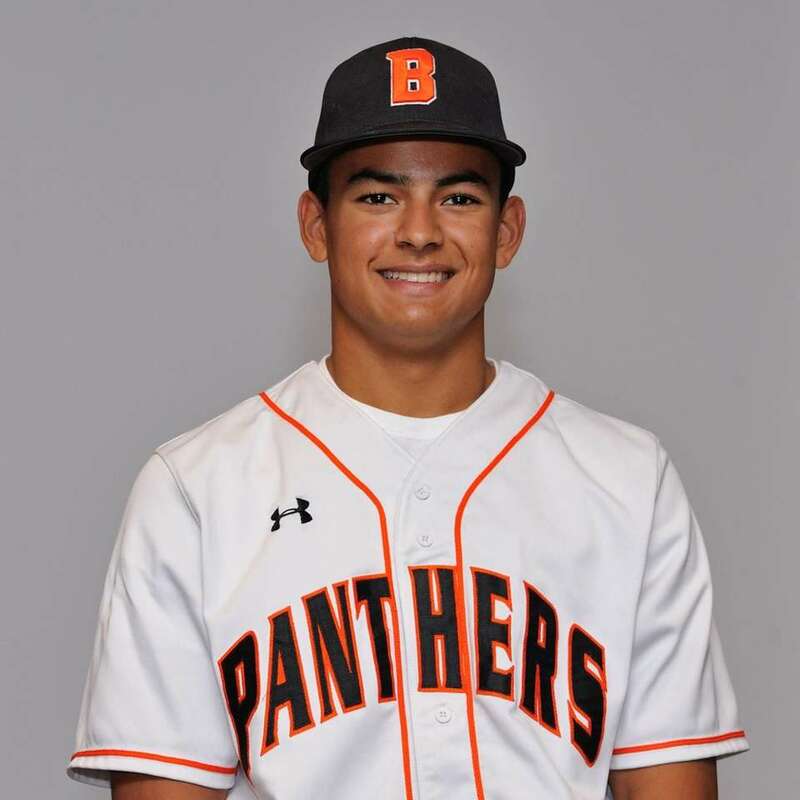 Kenneth Gordon, Babylon, SS/2B, Sr.
A do-it-all infielder, Gordon swiped 22 bases and scored 27 times. He batted .492 with a .602 on-base percentage and hit two home runs with 13 RBIs. He will attend Flagler College. Jimmy Joyce, Wantagh, 3B/P, Sr.
A .511 batting average, six home runs and 38 RBIs made Joynce one of the most feared hitters in Nassau. He was just as dominant on the mound, striking out 92 batters in 66 innings pitched. 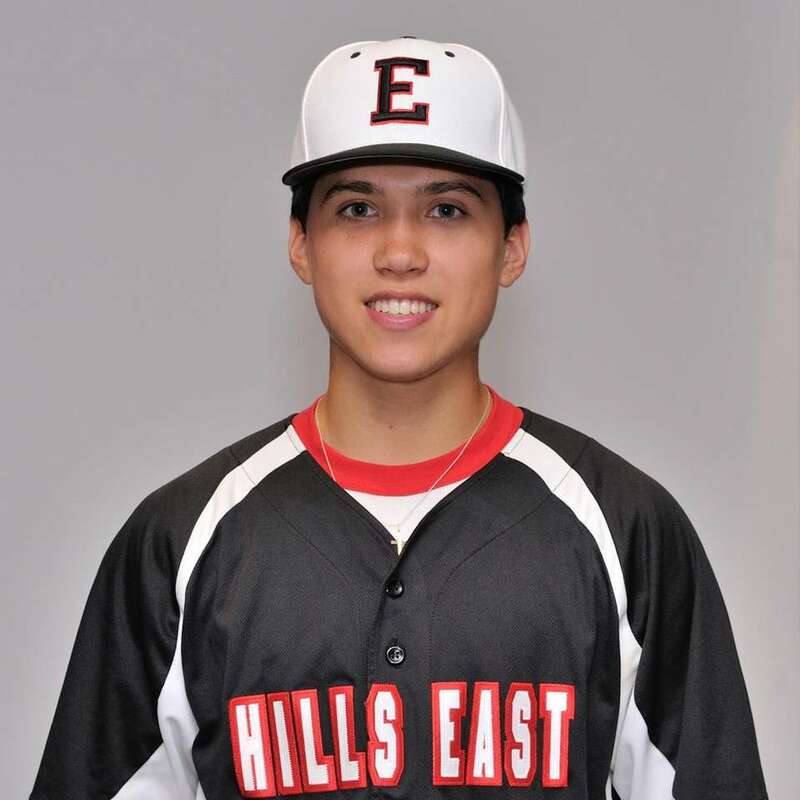 The Diamond Award winner as Nassau's top position player will play at Hofstra. Brad Malm, Patchogue-Medford, SS, Sr.
Batted .413 with a .564 on-base percentage and tallied 21 hits, 22 walks, five home runs and 17 RBIs while playing a reliable shortstop. He will attend SUNY-Albany. 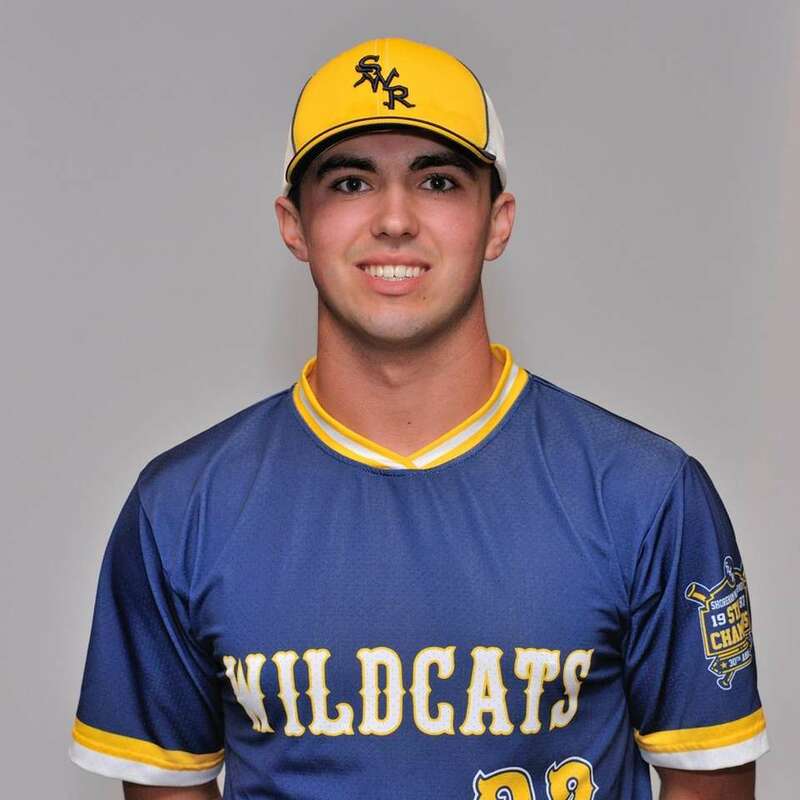 Nick Manesis, Shoreham-Wading River, OF, Sr.
A sturdy defender with no errors made in the outfield, Manesis hit .383 with eight home runs and 30 RBIs. He walked 13 times and posted a .480 on-base percentage. He will attend prep for West Point. 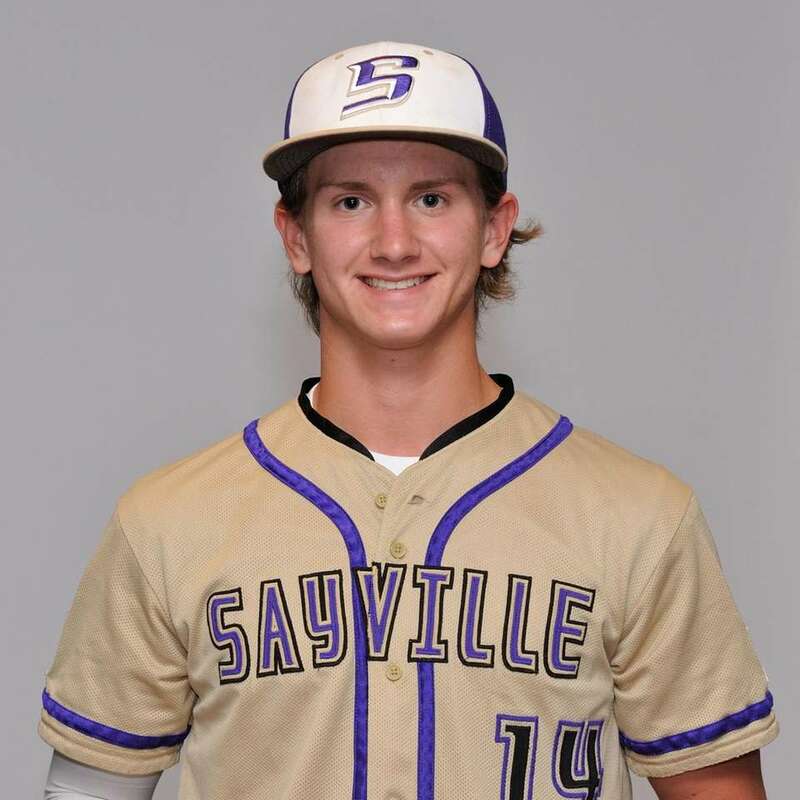 Brock Murtha, Sayville, SS/P, Fr. He's the first freshman to earn first team Newsday All-Long Island honors. He was the Suffolk League VI MVP after he hit 10 home runs and drove in 33 runs. He also had six pitching wins for the Golden Flashes. 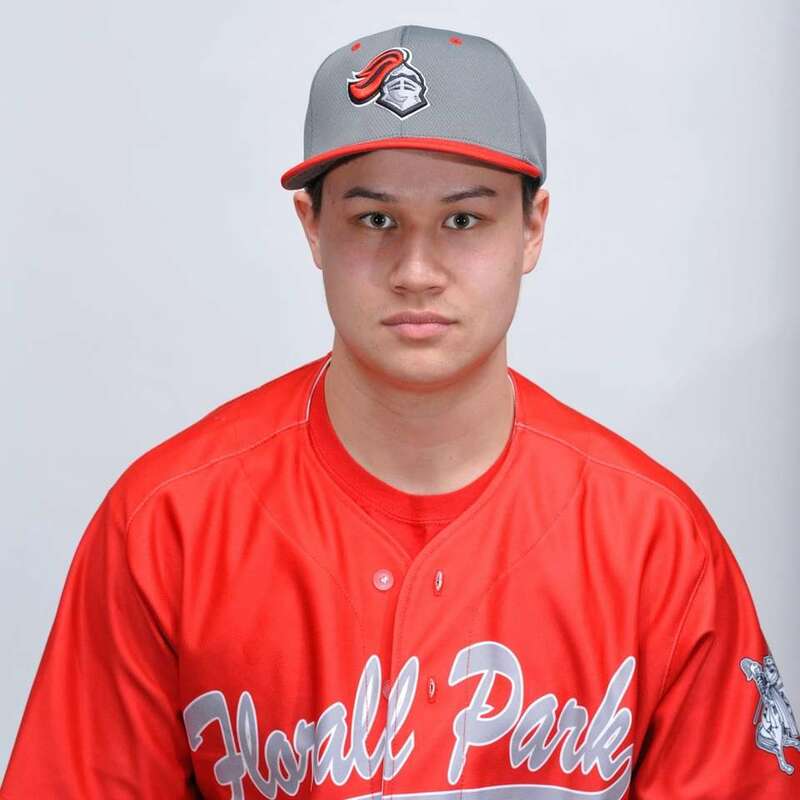 Chris Stefl, Floral Park, 1B/P, Sr. The St. John's bound star hit .552 with four home runs and 29 RBIs. Of his 19 walks, 14 were intentional. He also struck out 65 batters in 46 innings on the mound. 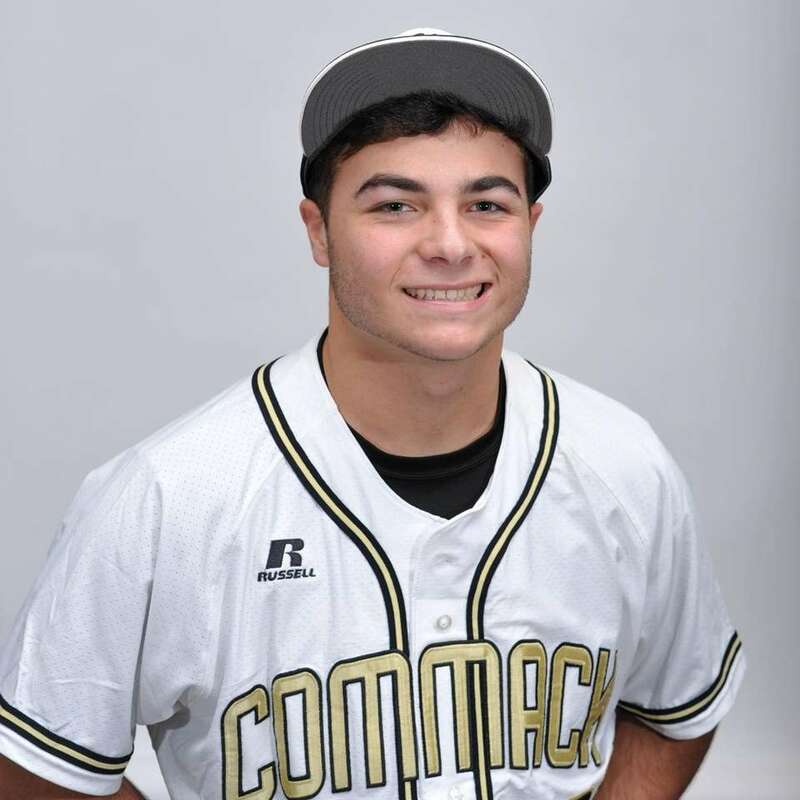 Peter Theodorellis, Commack, OF/P, Sr.
Suffolk's Silver Slugger Award winner, he hit .574 with 24 RBIs, 29 runs scored, 10 doubles, seven triples, one home run and six stolen bases. He struck out just twice. He led the Chiefs to the Nassau Class AA title and the Long Island championship. 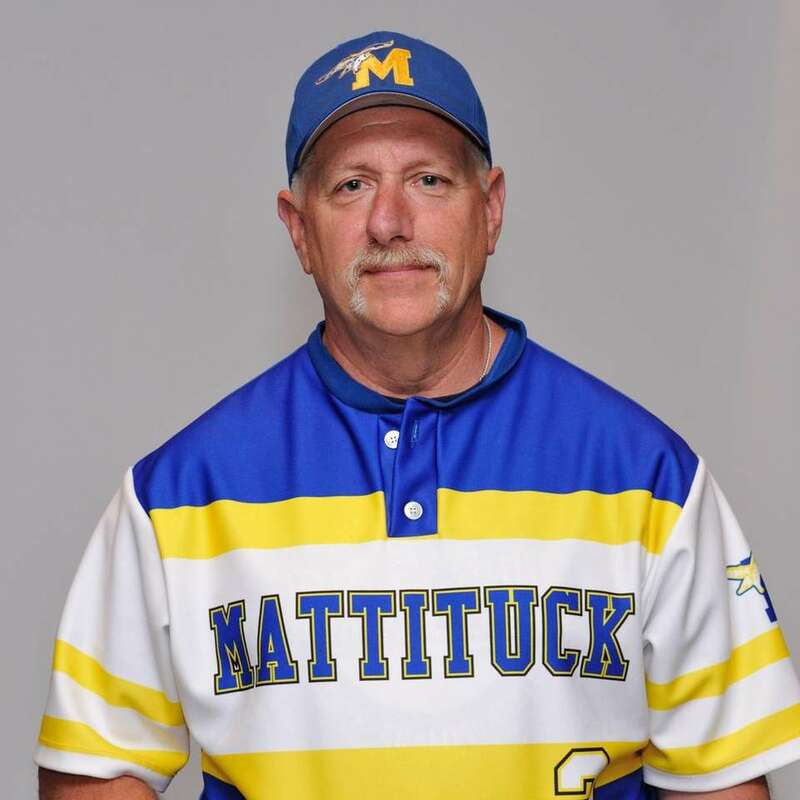 He led the Tuckers to the Suffolk Class A crown and the Long Island championship. A.J. Cain, Seaford, P, Sr.
Peter Capel, Hicksville, C, Sr.
Dylan Clausen, Southold, P, Sr.
Tyler DeMeo, Carey, OF, Sr.
Anthony Fontana, Wantagh, 1B, Jr.
Luke Hansen, Southold, P, Jr.
Matt Heffernan, Mattituck, SS, Sr.
Dylan Judd, Oceanside, C, Jr.
Jake Krzemienski, Commack, 1B, So. Rich Marooney, Garden CIty, OF, Sr.
Angus McCloskey, Farmingdale, P, Sr.
Tim McHugh, Commack, OF, So. Matt Overton, Hauppauge, OF, Sr.
Chad Pike, Southampton, SS, Sr.
John Pohlman, Commack, P, Sr.
Liam Pulsipher, Center Moriches, P, Jr.
Oliver Tavares, Deer Park, SS, Sr.
Nick Trabacchi, Smithtown West, P, Sr.
Harrison Treble, Oyster Bay, OF, Sr.
Nick Tuzzio, Lynbrook, SS, Sr.
Chris Wasson, Massapequa, SS, Sr.
All-Long Island softball team 2017Meet Newsday's All-Long Island softball team for the 2017 spring season. ... Newsday's All-Long Island history databaseMore than 6,000 players and coaches have earned Newsday's top high school honors. 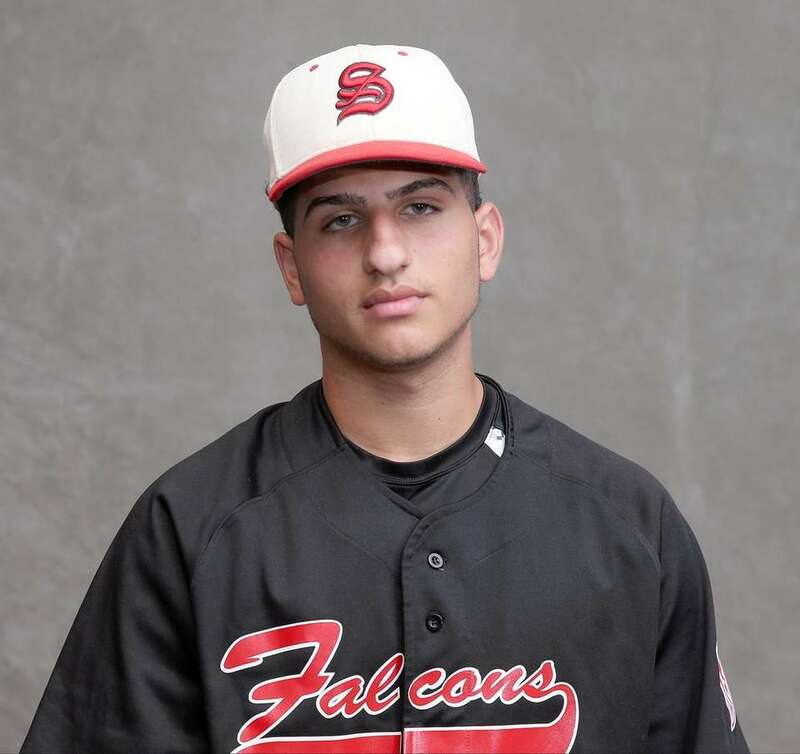 Newsday's All-Long Island baseball team 2017Gregg Sarra introduces the Newsday All-Long Island baseball team for 2017.